A small Brooklyn-based team is looking to solve the real-world challenges for those with disabilities. Furenexo today debuted a wearable device, and it is encouraging developers to get involved and help create affordable solutions. Furenexo (a combination of the Japanese word “to touch” and the Spanish word “connection”) will use advancements in machine learning and sensory technology to develop devices that help those living with ADHD, autism, blindness and deafness. The startup’s first product is called Sound Sense: an open-source device that people with hearing loss can wear to be alerted of loud sounds like police sirens or smoke alarms. 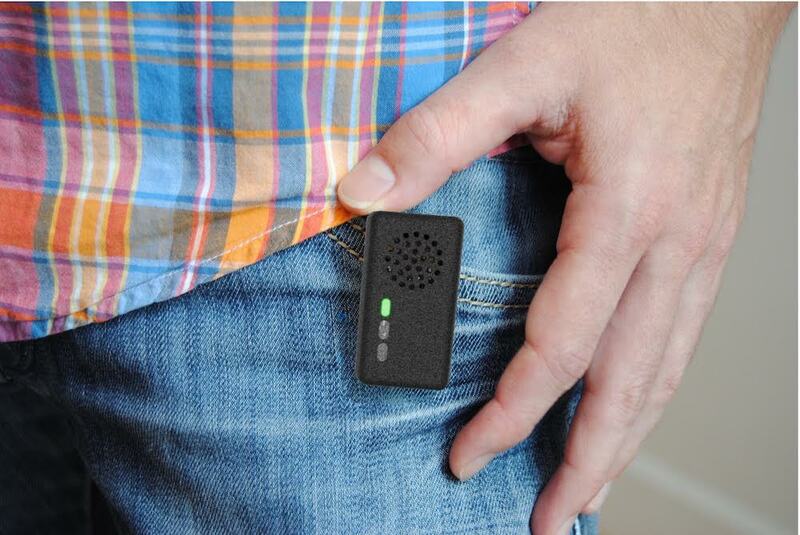 This device can also alert the person if a friend is calling out to them or talking in another room. Besides being fully open source, the device is made up of a microphone connected to a microchip and motor inside a 3D-printed shell. The motor will vibrate when it detects a noise above a certain level, giving the person more awareness of what’s going on around him or her. Furenexo is also creating a developer portal that will include challenges that directly address the needs of those with disabilities. Developers with backgrounds in computer vision, machine learning and open source can help develop solutions that can be tested in real-world situations. The code and the testing results will be shared with the community so others will be able to build and learn new solutions, according to Eric Skiff, cofounder and CTO of Furenexo. Furenexo’s portal will also help developers who want to leave a mark on the world outside of their daily job. Developers will be able to check out the company’s devices and provide feedback directly, as well as pose new solutions for other disabilities. The team’s first device is pretty straightforward, but Goral said it is already working on ideas for its next device. Another project in its queue is a wearable or pocket-size device for those who have ADHD whose parents can’t afford to place an expensive Apple watch on their wrists, he said. It also tackles the challenge of getting kids with ADHD to pay attention in school without the teacher having to call on them, which often is disruptive and embarrassing, he said. Instead, the wearable would send a vibration to the student’s wrist as a way of bringing them back to focus if they appear to not be paying attention. The device can be set up and connected to a teacher’s iPad or computer so he or she can get the student back on track without calling them out publicly in front of the class, said Goral. He was inspired to begin this startup after he went to California to visit a therapeutic medicine company called Ekso Bionics, which was developing technology to help those in wheelchairs or those who needed rehabilitation. While he was there, he had the privilege of seeing a person who was in a wheelchair for a majority of his life stand up and walk. Goral later moved to New York and connected with Skiff, a veteran programmer and hacker who helped create the NYC Resistor, a popular hacker space in Brooklyn. The two started a conversation about the absence of innovation in technology for people with disabilities, which led to more discussions and ideas about how technology and code can help solve these issues. “We recognized that the technology hasn’t been directed toward some of the challenges that have been outstanding for really decades,” said Goral. He and Skiff also recognized that the gap between existing technologies and those with disabilities exists because there hasn’t been a strong expected return on investment for things like an innovative cane or a better-developed hearing aid, “let alone other solutions for other challenges that aren’t immediately recognizable,” said Skiff. The Furenexo team hopes to provide solutions to these problems and bring together creative minds in the hacker/developer scene who are looking to solve the challenges people with disabilities face on a daily basis, according to Skiff. “Our hope is that we can spark a movement of people working on these challenges by open-sourcing our work and encouraging others to do the same,” he said.